Having accurate and up to date client information is essential for providing fantastic pet sitting and dog walking services. That information is specific to the human client as well as all of their pets. In Time To Pet - clients can update their information directly from the Client App or the Client Portal. You can create custom fields specific for your business and even mark certain fields as required! No two pet care business are the same. A company in New York collects very different information than a company in Nebraska. 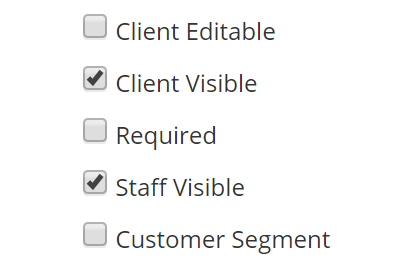 That’s why we allow you to customize all of the client and pet fields in your account. 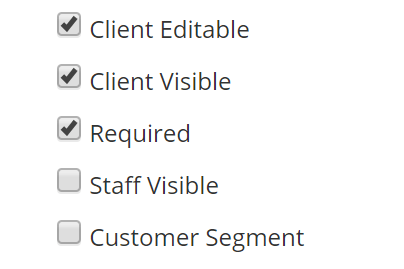 Any type of information that you collect about clients can be added as a custom field! After collecting lots of different types of information - you may want to be very specific about who has access to it. 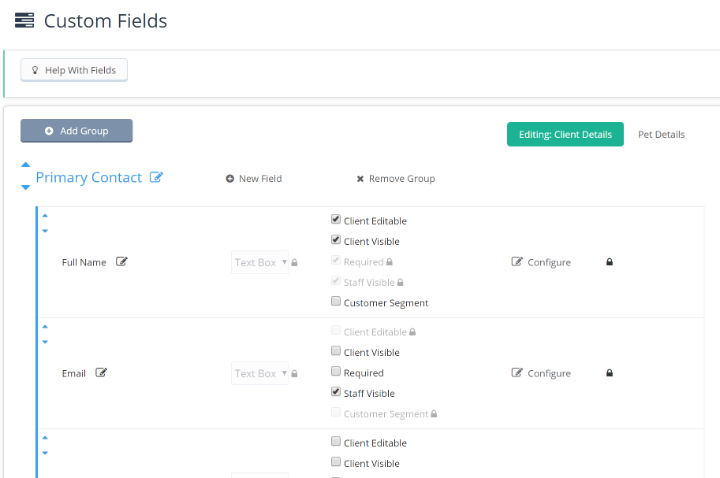 Fields can be hidden from clients and/or hidden from staff members. Want to keep a private note or not share the client’s phone number with your staff? Not a problem! There are certain pieces of information you collect about clients that are essential to you doing your job. The client’s address, access instructions and emergency contact info to name a few. You can mark these as fields as required which means your customer can not request services until they complete this info. In cases of emergency - it is essential to have accurate veterinarian information for your client and their pets. 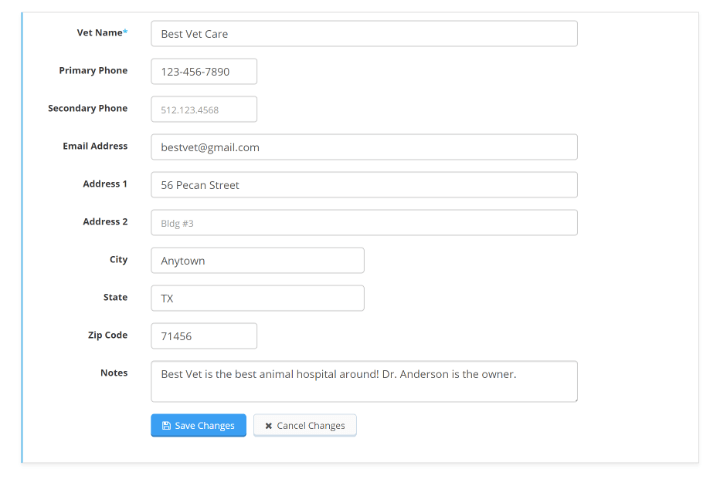 Time To Pet supports a full vet management system which allows you to add local vets and your customers can select a primary and secondary veterinarian.